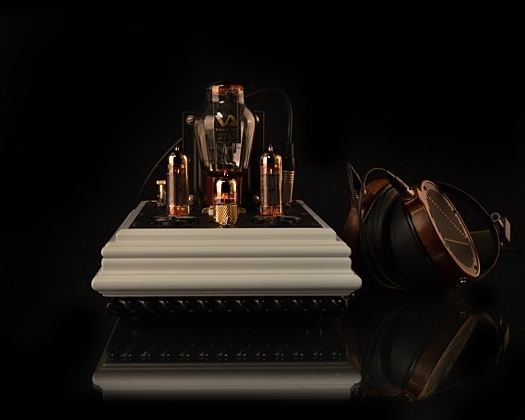 OLDER DECWARE GEAR SUPPORT >> TABOO MK III >> NEW LCD2 Headphone amplifier coming soon. 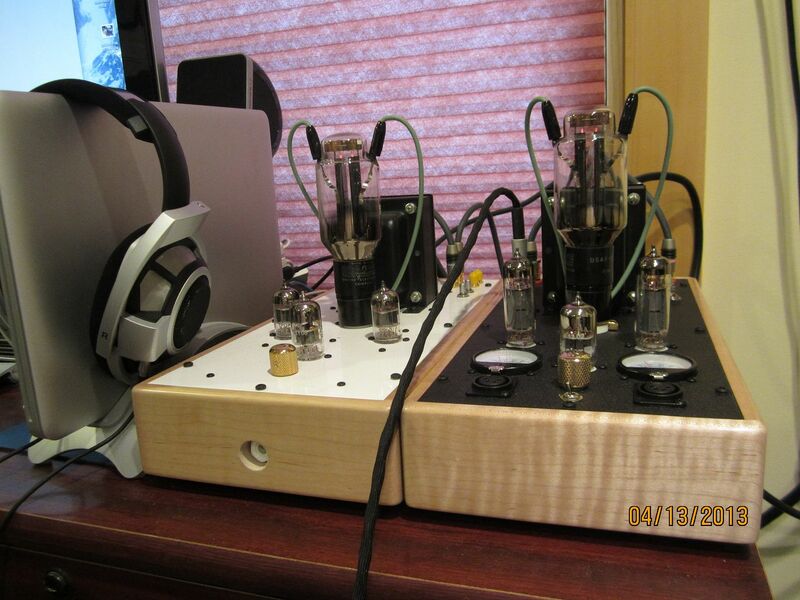 Title: NEW LCD2 Headphone amplifier coming soon. Title: Re: Video of the inside of a Decware amplifier! 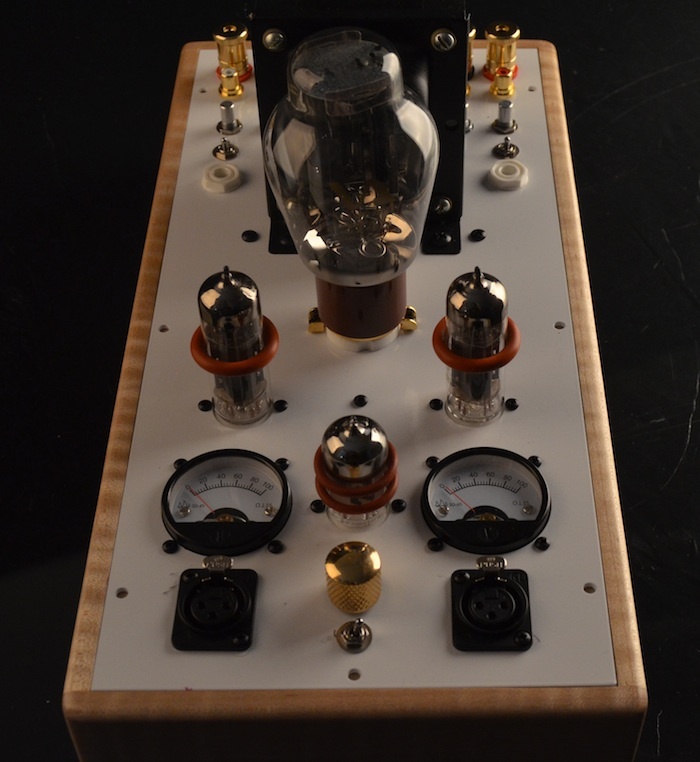 Title: Re: NEW LCD2 Headphone amplifier coming soon. Heh, but of course! ;D Love it! Yeh, the coupon was a nice touch, plus that made it much easier to convince my gf to allow me to spend money I should be saving ;D.
I wonder how GRADO PS1000 will sound with this beautiful machine, haven't listened to LCD2 for a long time since I got my PS1000. From reports the Taboo is an excellent match for Grado's. Good news for me, because I'll be using the SR325i + LCD-2r2. Do the PS1000's respond to amping the same as the other Grado's though? I take back what I said earlier, it sounds fantastic with my Magnum Grado's as well; super detailed, spacious, tight, and dynamic. I think I just had a gain/sensitivity issue earlier. The Decware Taboo pumps out some really nice bass. It must be due to the fully tube-rectified circuit. It's very nice. In fact, it's just the ticket for Grados. They really kick on the Taboo. Another difference is the aptly-named "Lucid Mode", a kind of natural tube crossfeed which expands the soundstage. It's noticeable, it's interesting, I like the effect, and again... it's just the ticket for Grados which typically have a soundstage about the size of a frozen pea. It could very well be that the Taboo ends up being my new favorite Grado amp. Checked with Steve, and he is a big fan of the cryo beeswax caps. So, I am foregoing the VCAPS. Steve described the speaker/phones switch as a mistake IIRC. That said, my late 2011 taboo was delivered with the switch. It sounds terrific. Pale Rider, good to know Steve highly rates the beeswax caps. Thanks for following up. polys/mmlogic: Just tried my Grado RS1. Changing between CSP2+ and Taboo is very noticeable. CSP2 very smooth; Taboo very dimensional and holographic. Lucid mode makes a large difference. Rather seductive. I have never been a headphone guy except recording, and have to admit, now that I made the decision on the Taboo, I am excited about the possibility of headphone listening...never gave it much thought before this. So first question...why 4 pin or three pin on ordering the balanced plugs. Is four compatible with three, or are they mutually exclusive. Thoughts on what I should order??? Also, for those of you with headphone listening experience, which phones should I be window shopping as I wait for the Taboo? Will, 3-pin mini-XLR will require two plugs/jacks. 4-pin is a single plug/jack, and so, if you have two sockets, you can have two listeners. Whether OEM or aftermarket, the headphone market is flooded with reasonably priced and preposterously priced versions of both. Check out this thread, and millions of others, on Head-Fi. With my New Taboo [has a nice ring] on the way, I am getting my Audez'e set up for 4-pin, and swapping the Thunderpants over to the Liquid Fire. You bet Will. As for headphone models, well,you didn't mention budget but I am a big fan of the Audez'e. There are lots of good cans out there. Spend some time at Head-Fi. Yes...what a labyrinth....1600 and some pages on the thread of recommended headphones....Sounds like skipping right to the Audez'e is logical, but costly...is it pretty much the place most will end up given the budget? Well, it's such a matter of personal taste. And of course, comfort is a factor in a way unlike any other aspect of hifi. There are times when I much prefer my IEMs, for example, and the IEM aural experience is not at all like Audez'e, or my Senn 800s, etc. Some folks swear by the HiFiMan planars , but in the one time I tried a set at a HeadFi meet, I was meh. All I can say is that I am happier with the LCD-2 than any other can I have owned. They were as eye-opening and engaging as my very first Senn HD414 when I was a kid. Hey thanks for the further explanations and pointers.... Yes the personal thing is sure real, but from my point of near total ignorance of what is around these days, especially from the point of view of died in the wool, audio head, headphone listeners, this helps! will, your headphone choices are simplified by choosing the Taboo, which really is optimized for Magne-planar headphones (although some report good experiences with other low-impedance hps like Grado). Magne-planar largely restricts you to Audez'e (LCD2, LCD3) or HiFiMan (but not the HE-6, which is a beast to drive and needs a speaker amp of 40W or more, reportedly). Like many, many others I can vouch for the LCD2 as a terrific hp and a great match with the 'old' Taboo. It excels at communicating timbre and hence sounds outstandingly 'natural'. It plumbs the low-mids and bass regions with a depth, resolution and presence few other phones achieve. It's also sometimes described as an hp for speaker-lovers. Certainly, it was the first hp that got close to speakers for me. However, there are other factors, like those Pale Rider mentioned. It is all about comfort and personal preference in the end. Steve, on the phone you mentioned a budget Tascam DAC that would work well with the Taboo. Could you please share the model of that one so I can get it on order soon? Matt, among budget DACs the Beresford Bushmaster is extremely good - better than Schiit's budget offering the Bifrost imho. Take a look on head-fi for impressions from the few brave enough to try it. Thanks AiDee! You are a trusted Head-fi'er and one of the reasons I ended up here at Decware. I did see a lot of flaming regarding the Beresford online. Strangely, no where did I see ANYONE that heard it say anything other than praise for its sound for the money. It is funny how people will write off something they have NEVER heard just because of a personality difference or because the price is too low. It seems Decware gets a lot of those same audio snobs in uproars because it's "too cheap" or "underpowered" to even be considered. I guess I always go my own direction, but I am pleased with my Decware decision. I am going to get my Beresford on order here pretty soon. @Landmantx: a DAC for what purpose and what budget? For laptop, desktop, or what? Dollar limit? I am not a Beresford fan, but not a flamer either. For a portable, musical solution good with laptops, the Meridian is quite nice. But a lot depends on your application. My initial plan is to just play tunes off iTunes from my iMac over LCD 2 headphones. Over time, I plan to buy some speakers (Probably the ERR replacement if it ever comes). I really just want a neutral, yet musical DAC that will get me by. I really don't know that I could reliably pick a $2000 DAC from a $250 DAC in a blind test. I did like the idea of a wireless DAC, but it adds so much to the cost that you might as well buy a Mac Mini for the bedside rig. Who knows, I jumped on this amp before I had it all planned out and now I am working to get it all purchased prior to May when the Taboo gets here. I considered the Meridian for it's size, but hesitated due to lack of inputs and outputs. I am sure it would work fine though. About the input tube upgrade between the MKII and MKIII, is it a new socket or simply a new tube in the same tube socket as the MKII? LeFrancoy if I understand your question - it is a different tube, same socket. 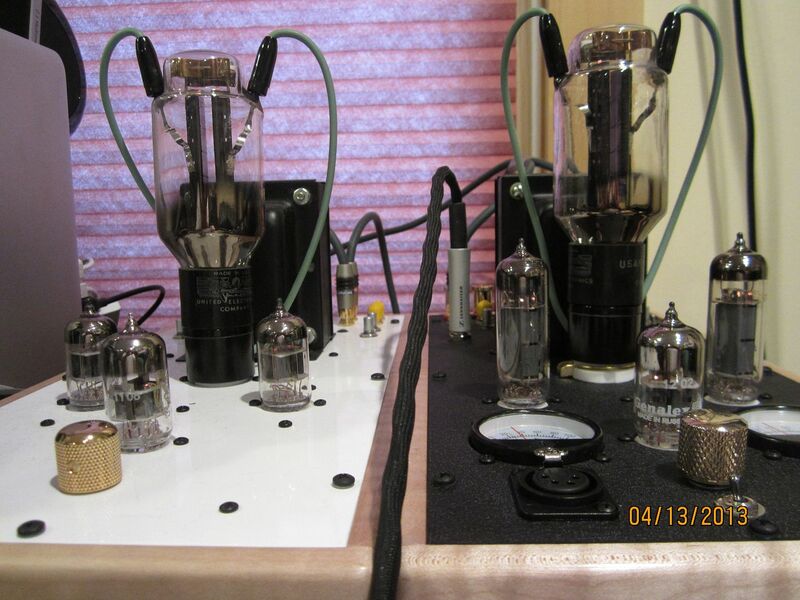 That is, the driver tube is now from a different tube family. Total tubes are the same (4). Well, Frank I has sold his CSP2+ and will be using the Taboo MK III alone! Interesting, inasmuch as he still says the combo together is superior. Can't wait to hear mine. I plan to try it with and without the Ultra, though long term, I am likely to use it standalone. Don't know how you feel about rolling tubes, but you can make pretty powerful changes in the quality and quantity of "warmth" with Decware's revealing, clean and simple designs. I have no CSP2+ but understand that it is shipped "warm" since most prefer it that way, and even exploring only the front tube can make a big difference in the feeling of the pre and whatever follows. What's the headphone output impedance on the new Taboo?